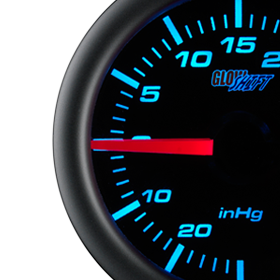 GlowShift is proud to introduce our newest gauge……the Elite 10 Color 30 PSI Fuel Pressure Gauge. 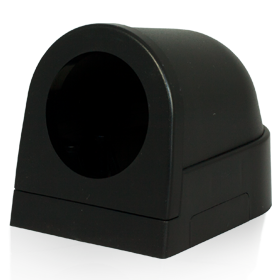 Precisely monitor your fuel pressure to ensure your engine is running at its best! This gauge includes some incredible features like: self-calibration, visual and/or audible high and low warnings, peak recall ability, and what really sets the Elite 10 Color Gauge Series apart; a microprocessor controlled stepper motor for extremely smooth needle movement and dialed in gauge readings. 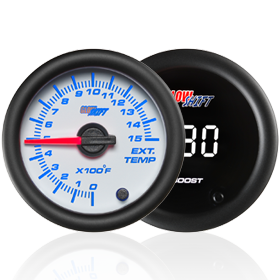 This fuel pressure gauge combines the accuracy of a microprocessor with the precise movement of a stepper motor allowing the gauge’s red illuminated needle to smoothly sweep 270 degrees for unparalleled accuracy. 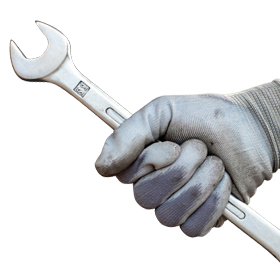 A Self-calibration feature automatically initiates a startup and shut down sequence when the vehicle is powered on or off, to ensure the gauge is functioning properly. The high and low warning system allows the user to set predetermined values that will alert them either visually and/or audibly if those levels are reached. The peak recall ability will display the last peak value the gauge reached, and can be easily reset with a push of a button. 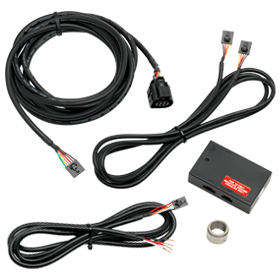 Includes is a sleek electronic 1/8th NPT fuel pressure sensor, and a 8 foot wire harness featuring modular connectors that effortlessly plug into the back of the gauge and sensor. 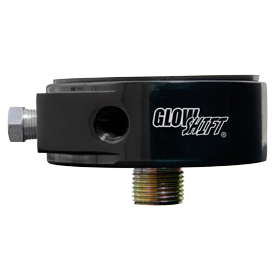 This fuel pressure gauge also features GlowShift’s through dial LED lighting which allows the user to select from ten solid colors, as well as a color cycle and color fade mode simply by pressing a button on the front of the gauge. A color memory feature is built into each gauge letting it remember the last color setting the gauge was on prior to turning the vehicle off.